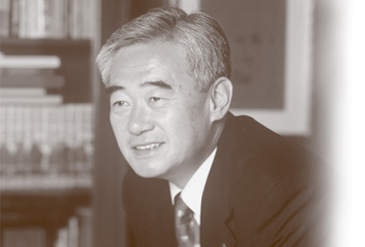 SEOUL (May 31, 2005) — Chungwon Choue, president of the World Taekwondo Federation, recently contributed US$125,000 to the Seoul-based WTF for Development and Solidarity programs. Choue hoped the money would be channeled to the WTF Development and Solidarity Fund, which will be used to help assist developing member National Associations through development programs. Since taking the helm of the WTF in June 2004, Choue has stressed the importance of an increase in Solidarity funding for various WTF Solidarity programs. Under the reform recommendations approved by the WTF's General Assembly in April 2005, in Madrid, Spain, the WTF plans to set up the Solidarity Fund from personal donations and a certain portion from marketing revenues. The WTF plans to organize seminars on marketing and Solidarity, either together or separately, to educate the National Associations on raising funds for local projects for the Development and Solidarity program. It also plans to set up a Development & Solidarity division within the WTF Headquarters, which will develop specific guidelines for evaluating National Associations' requests. The WTF will establish a WTF Solidarity Committee, which will oversee and decide on proposals developed by the proposed Development & Solidarity Division.